Hi Thijs - did you spot my post that was actually before your clue? But it takes me qiut some minutes to type it while driving . When i started it , there was no Polo post. But it.s correct. The vessel is the waterlevel it was before it became a polder. When driving into the polder there is/ was a sign with " welcome at the bottom of the sea". The vessel on the waves symbolise the struggle of to make land out of the water. I thougt that ralf would have reconise the monument on his way to a client in Harlingen. Over to you again Mark. I've got a feeling we've got a photo of that somewhere, from one of our Den Helder trips. OK - so where is this? Correct Yves. That's definitely water. Thank you Mark.I am proud to have found the first clue! Now, seriously: somewhere in Scandinavia? Yes, it's somewhere in Scandinavia. Is this in Aaland Archipelago?? Any chance to find it in Nornorge? It has to be tried! At the top of the tower it seems there is a blue and yellow finial (épi de faitage, in French). So maybe we are in Sweden. "Were"? Does it mean it is not Sweden nowadays? Oh, sorry Yves, despite what I've learnt from Ivy over the years, that wasn't supposed to be an evasive answer! I'm not personally in Sweden at the moment, but I was when the photo was taken. As far as I know this is now, and has always, been in Sweden. Thank you for this answer Mark. I was ready to search an obscure island in the Pacific, owned by Sweden in the old days. despite what I've learnt from Ivy over the years, that wasn't supposed to be an evasive answer! Huh! I take note of all these cheeky remarks, young Polo. Just watch it. I think so. I had to look it up. If it’s not, then it’s very close. If you are not sure it must be close to the border of Bohuslan, one side or the other. 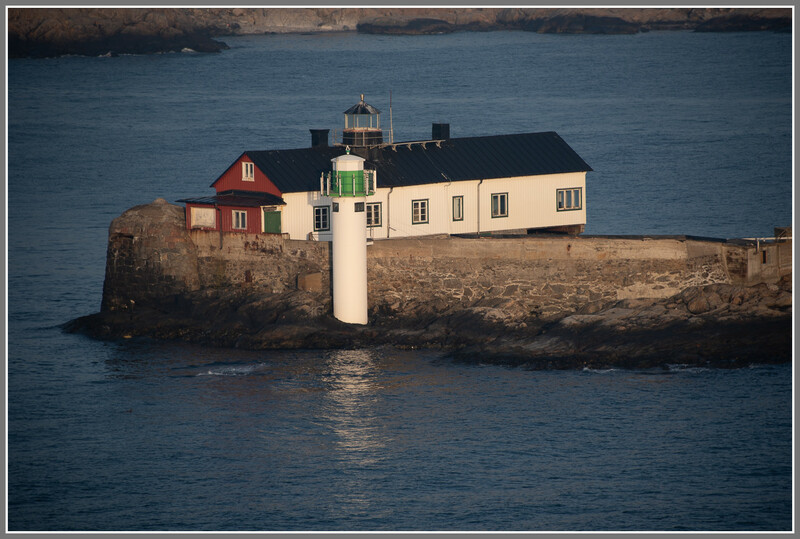 Since it is not in Norway it may be close to Stromstad, or on the other side, close to Gothenburg. Narrowed down like that, it sounds simple but seems to be proving elusive. OK, so let's be a little more helpful. It is close to Gothenburg, in fact it's on a route travelled by an awful lot of ships - including passenger ferries - every day. We had a clear view of it from the Stena Scandinavia's top deck last Friday as we left Sweden towards Germany - although there were more interesting things going on in front of us. 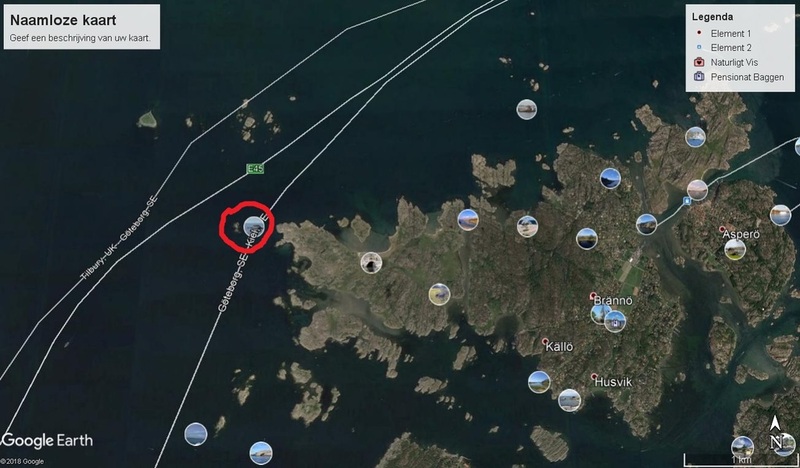 This lump was heading towards Sandnes at a very sedate 5 knots. The harbour tugs were just leaving it as we saw it, as was the pilot. 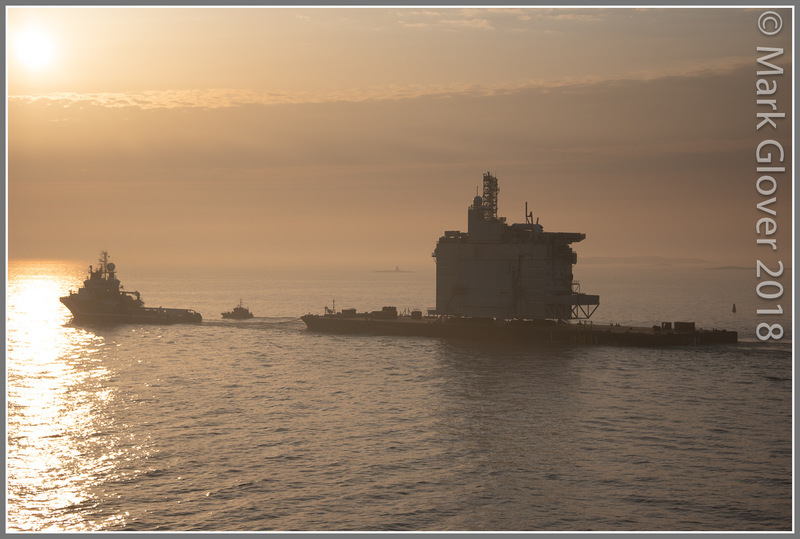 One of the modules lifted onto the Johan Sverdrup Field recently I guess.